Does it ever make sense to have a two-page resume? One of the biggest rules of thumb in the world of job searches is that applicants should never submit resumes that are more than one page. 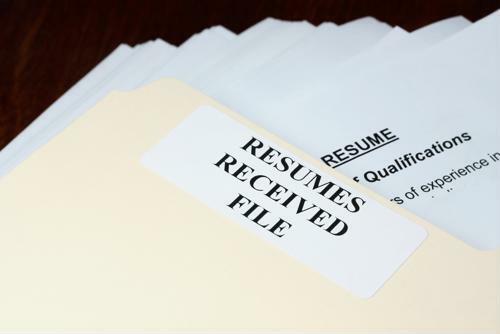 After all, if a hiring manager only has a handful of seconds to consider whether someone is really qualified for a job, providing a two-page resume creates a potential hurdle that may not get all of a person's best accomplishments noticed or considered. However, some hiring experts now say a two-pay resume might not be such a bad course of action after all, according to Resume Go. A recent study found that the vast majority of resumes approved by a variety of experts in the business world for a hypothetical hire were of the two-page variety, and this was particularly true when dealing with people applying for a hypothetical management position. Nearly as many also chose to hire candidates with two-page resumes for mid-level management positions. Interestingly, recruiters seemed to be drawn in by the two-page offerings, spending twice as long reading them as they did one-pagers, the report said. On a per-page basis, the results were roughly the same (almost two and a half minutes for one-page resumes, a little more than two minutes for two-pagers), but it seems that the longer documents were in no way a deterrent to spending more than four minutes on review. With these results in mind, job seekers still need to be cognizant of a few issues when they apply for jobs, according to Dice. For one thing, if they're applying for entry-level jobs, it might be wiser to stick with a shorter resume, although the study suggests there's little difference in hiring managers' preference here. But for higher-level jobs, it might actually be smart to go with a longer document. That does not, however, excuse candidates whose applications are overly verbose, the report said. Concision is key regardless of how long the document itself is, but adding that extra page allows applicants to spend more time highlighting their professional accomplishments, with the understanding that they're still likely to be read despite that long-standing rule of thumb. Meanwhile, even with the greater length, other aspects of a resume should still conform to suggested norms, according to CNN Business. That means sticking with a simple header that just has a candidate's name, phone number and email address, as well as a one- or two-sentence summary. It might also be wise to include some personal information in an "about me" section at the end. In general, it's a good idea for applicants to use their common sense in these situations. If it seems like they can't fit all their important information on a single page, even with plenty of editing, then going to two pages probably isn't a bad idea. However, if they only have one or two extra lines on that second page, scaling something back to fit it all on one is probably the better option.